In the world of the reined cow horse, there isn’t any record that breeder, trainer, and horseman Ted Robinson hasn’t broken. But it isn’t his money earnings or world championship titles that were important when it came to including him as a member of Team SUCCEED. It’s his deep love for the horses and his knowledge that they need to be healthy from the inside out to perform that appealed to us. While Ted says that he often prefers horses over people, he is quite jovial and open when it comes to talking about his horses and how they succeed on SUCCEED – even during a 6:30 am phone call before heading out to work 15 horses for the day. As a child, Ted Robinson was completely fascinated by horses; a love fully encouraged and supported by his parents. He was showing – and placing – in everything from barrels to western pleasure at his local saddle club at age 10, and got his first job breaking horses when he was just 15. 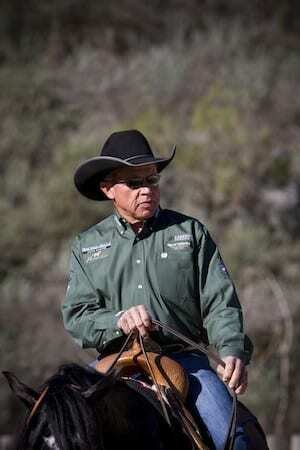 Decades later, Ted has seven National Reined Cow Horse Association Snaffle Bit Futurity World Championships under his belt and two World’s Greatest Horseman titles. His first world championship was won with his legendary stallion Nu Cash, whose progeny have won 5 more world titles and who is the foundation stallion for Ted’s breeding and training operation. Ted’s California facility is home to 100 horses at any given time, with about 45 of those in active training for Reined Cow Horse competition. Ted’s is a futurity training stable, focusing on training 3-year-old horse for the trio of Reined Cow Horse events: herd work (cutting), rein work (like reining), and cow work. Even someone as accomplished as Ted is always looking for new ways to improve the health and performance of his animals – so that they are fully healthy and happy and ready for the show ring. With a focus on training futurity horses for competition during their three-year-old year, there’s a lot of turnover at Ted’s farm. New horses have at times come to Ted in less than ideal condition – poor muscle tone, dull coats, and difficult attitudes. 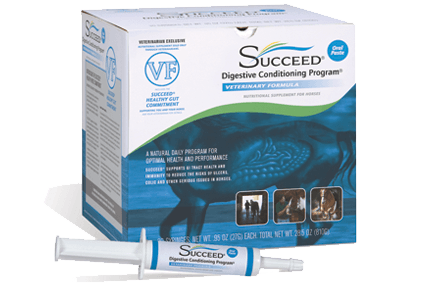 After meeting a SUCCEED representative and learning about how it promotes overall digestive wellness, Ted began putting his young training horses on the natural digestive supplement. 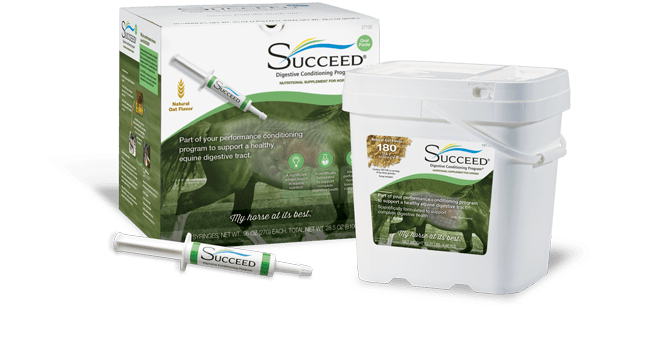 Ted says one of the first things he noticed after putting his horses on the SUCCEED paste is that they love it and look forward to it. Walking down the barn aisle in the morning, all the horses have their heads over their dutch doors in wait. SUCCEED has helped Ted to keep his horses even healthier on the inside, and glowing mentally and physically on the outside. It’s one small part of his overall training and care program – all of which keep his reined cow horses consistently in the money.